College Credit Plus: What's Happening? UC Blue Ash College | University of Cincinnati » Admissions » College Credit Plus Program » What's Happening? The College Credit Plus Program at UC Blue Ash College offers students from 7th to 12th grade the option to experience education at a higher level and prepare themselves for the next steps in their educational journey. But you don't have to take it from us; hear about College Credit Plus from students who have already found success within the program. 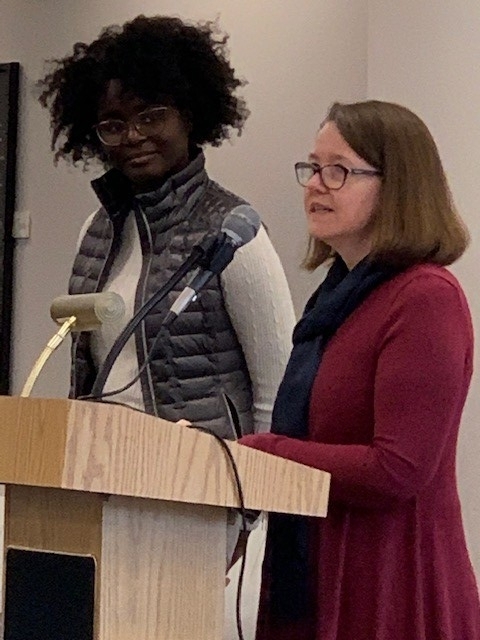 Blessing Fanegan, a particpant in the UC Blue Ash College Credit Plus program, recently won 2nd prize in the University of Cincinnati's 22nd Annual Compositon Writing Contest. 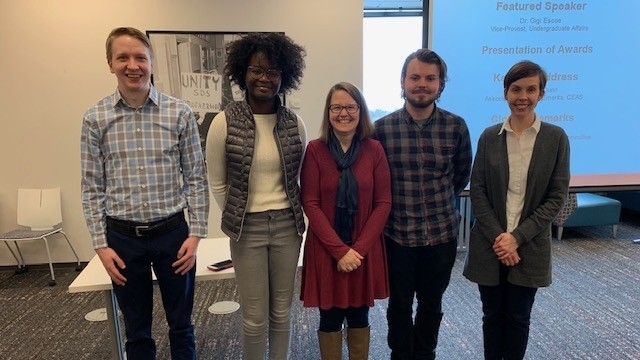 The contest is an annual celebration of the best student writing in English composition courses across all colleges at the University of Cincinnati. Students were encouraged to submit their best work from Intermediate Composition, English Composition or Introduction to Composition. Blessing submitted her work, titled "A Literature Review of Common Risk Factors Between Eating Disorders," in the Intermediate Compositon category. Her award was presented to her by Brenda Refaei, an Associate Professor of English at UC Blue Ash College.